This language arts poster is one of a set of 12 posters that explain the different forms of poetry. 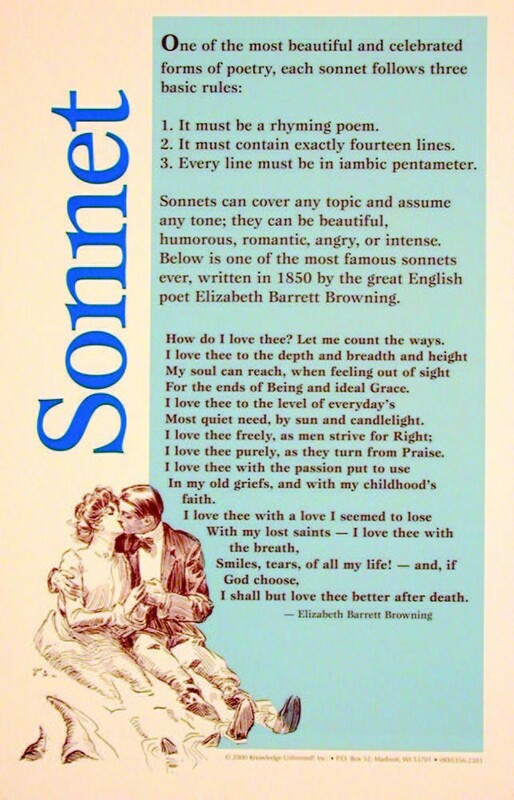 This poster explains what a sonnet is and provides the three basic rules of sonnets. It also features an example of a famous sonnet -- Elizabeth Barrett Browning's "How Do I Love Thee?"